Here’s a surprising however welcome expansion by Nissan and Italdesign. These two companies have collaborated to create a unique version GT-R. 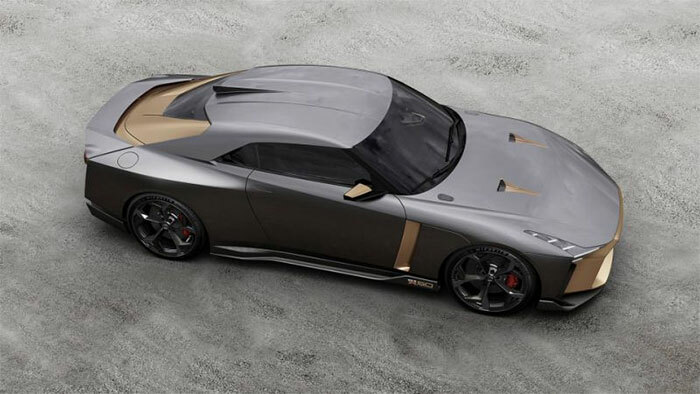 The first collaboration between the Japanese automaker and the Italian plan house, the GT-R50 is a custom prototype celebrating 50 years of both Italdesign and the GT-R. The staggering bit of 710-hp artwork abandons us asking, why haven’t these folks been working together for the entirety of the past 50 years? Presently, Italdesign has distributed on its YouTube account a video itemizing how the car appeared to celebrate the GT-R’s 50th birthday as well as the outline house’s 50 years of presence. The early long periods of the spectacular idea can be traced back to the 2017 Geneva Motor Show where Alfonso Albaisa, Senior Vice President of Global Design at Nissan, was welcome to Italdesign’s corner to discuss a potential tie-up for what was to wind up the GT-R50. Beside the bespoke styling, Godzilla reinterpreted by Italdesign experienced extra alterations as Nismo changed the biturbo 3.8-liter V6 motor to deliver an expected 710 horsepower and 575 pound-feet (780 Newton-meters) of torque. What’s more, the suspension was further improved with a ceaselessly movable damping framework, while the Brembo brakes with a six-cylinder front and four-cylinder rear configuration were likewise on the schedule. Regarding accessibility, there’s both uplifting news and awful news to share. On one hand, a most extreme of 50 cars will be manufactured, yet each will cost a little over $1 million. Those of us that can’t afford it will have the capacity to look at it in the metal on July 28 and 29 at the Spa-Francorchamps race track in Belgium and from August 23 until 26 at Laguna Seca in the United States. After that, the GT-R50 will make a beeline for where it has a place: Japan.